Tokai Forum - a subsidiary of TokaiRegistry.com :: View topic - DRY Z Crushers!!!! Posted: Wed Sep 24, 2014 10:39 pm Post subject: DRY Z Crushers!!!! They have done it. I just tried these being extremely skeptical as I LOVE Dry Z's and Screamin 82's and even the lesser than versions but these PU's sound better than Anything I've ever heard. Period. Game over. And you can't accuse me of being an Endorser because I'm not.. I'm a fan. Blown away. And they are on sale this month. PU's from Ireland? Oh well.. Seriously you guys these are in my opinion the best PU's I've EVER HEARD. Very tempted, but I'm still evaluating my new old Dimarzios for a while. Now you've got my attention. This firm are literally on my doorstep. Looks like my plans for a pair of DiMarzio 36ths are on hold! On further checking, it turns out my in-laws live 2 miles away from Deacci. Next time, it might JUST be worth visiting them. 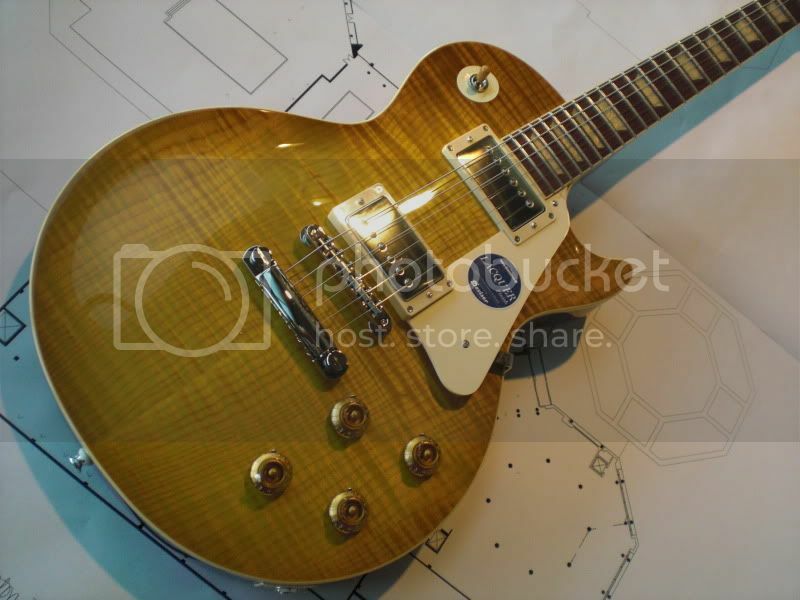 Looking for "that" set of pickups for my Bacchus Classic Series LP. The original pickups are quite dark sounding so I put a set of Peter Florance Voo Doo's in it.... better but not what I'd like to hear. Might give these a try based upon Mitch's glowing review. I know you don't know me and don't know my ears etc so it might be hard to just take my word for it. BUt let me just say again. This is next level stuff. They sound so much more musical than anything I've heard and yet at the same time they sound like every great tone you've ever loved or heard. I've tried SOOOOO many boutique "great" pickups and sent them back. I'm placing a large order today for more of these. I'm seriously putting them in everything. They are that good. Cant wait till they come with some Single coils. I have a seriously deep level of trust they will be the best I've ever heard as well. Yeah do it. I gotta say though those sound samples are not a real representative of how good these are. No offense to the dude playing them but what I'm hearing here and what I'm hearing from him are in two different worlds. These pu's are ridiculously good. So I'm betting when you get them in you will be thrilled. That's a stunner of a guitar Marcus. I'm leaning towards nickel, but it's tempting to give the old middle finger salute to DiMarzio isn't it ?? If it helps you decide, the bobbins are butyrate, so they look a little nicer than the abs plastic on everything else. I have Zebras in my EGF1200 as the double cream looked too stark with the less figured top. In your case I think the double cream will look well with that fantastic top but nickel will definately work too. Many thanks Mitch, I honestly had no idea he was going to post this, Mitch is a very hard task master, and over the couple of years we have been in touch he had no difficulty telling me when the pickups were just not right, and I very much appreciate his constructive criticism, he really has no idea how much it has influenced my direction over this last few years. My aim is to keep pricing as low as possible for as long as possible. The current offer will be extended until at least the end of October and possibly further, current stock permitting. Any questions please shout and I will do my very best to answer. I'd say nickel but with that top you can't lose the cream would also look amazing. I'd prefer zebra's on that beautiful top !!!! Thanks guys... now I'm confused. Perhaps I'll get the double creams with the nickel covers on the side in case I want to put them on. That Hamer is real nice Mitch! I was wondering which pickups Mitch was glowing about - the link he'd put up were the Vintage Zeros - which have the Alnico 3 magnets. My Bacchus seems to be quite dark sounding and I'm looking to brighten it up a bit and I was interested in the zeros because they are noted as being your brightest sounding pickups - low output too. That said, which from your lineup would you recommend? I heard the sound clips of your Peter Green pickups and they really sound nice too. I had it wrong sorry it's these.